A printing revolution for your company. This MFP provides print up to twice the speed and half the cost per laser color page, plus copy and scan. It is designed with advanced security and management and is made to last. 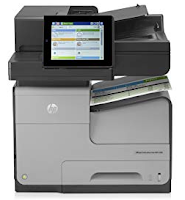 Additional Feature: ePrint, AirPrint, duplex ready, fax.